When you hear the words “Golden Gate” you probably think about the bridge. The Golden Gate Bridge is one of the most popular attractions in San Francisco, but Golden Gate Park is pretty impressive in its own right. In spite of the name, it is not located close to the Golden Gate Bridge, but it is easily accessible by bus or of course uber. Golden Gate Park is a little more than 1,000 acres filled with lots to do, so I would recommend allocating a full day to spend there if you can. YOU MIGHT ALSO LIKE: Bike Across the Golden Gate Bridge: Another off my Bucket List! I think it is the most scenic area in Golden Gate Park. We climbed the stairs up Strawberry Hill, which is in the middle of the lake for a great view of the park and also the Huntington waterfall. There are bridges on both sides of the lake so that you can cross to the middle. If you have time, you can rent a row or paddle boat from the boathouse and explore even more. 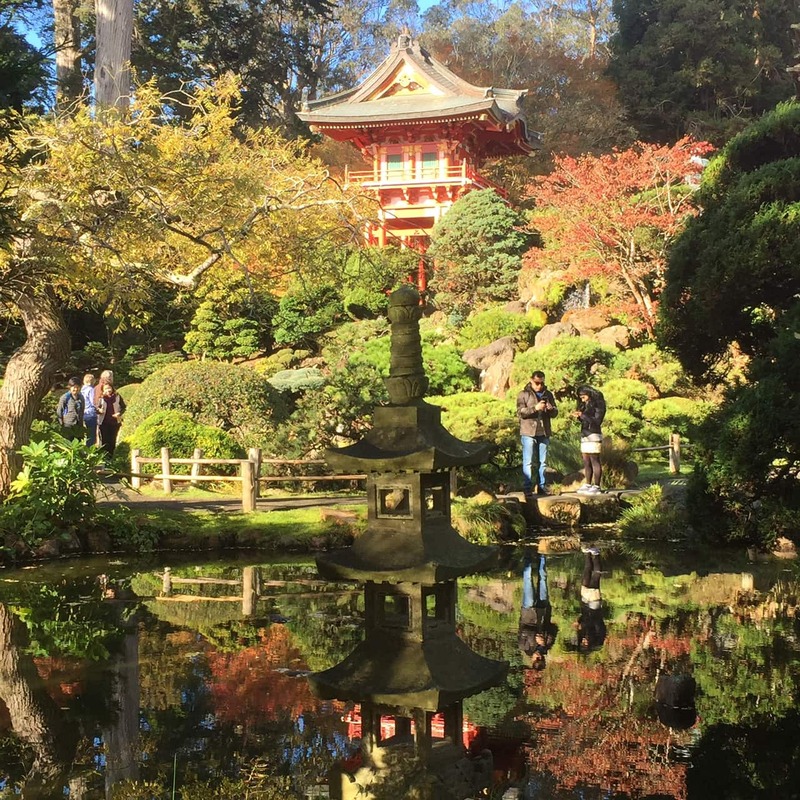 You will also find the Chinese Pagoda, one of many popular Instagram spots in San Francisco. Inside this beautiful Victorian style glass and wood greenhouse, you will find many exotic plants and flowers. There is an $8 admission fee ($6 if you are a San Francisco resident) but you can go for free the First Tuesday of the month. Not too far from the Conservatory of Flowers, there is the Golden Gate Park Rose Garden, which is free to visit, and depending on the time of year filled with lots of varieties of roses. The Conservatory of Flowers is a beautiful building. 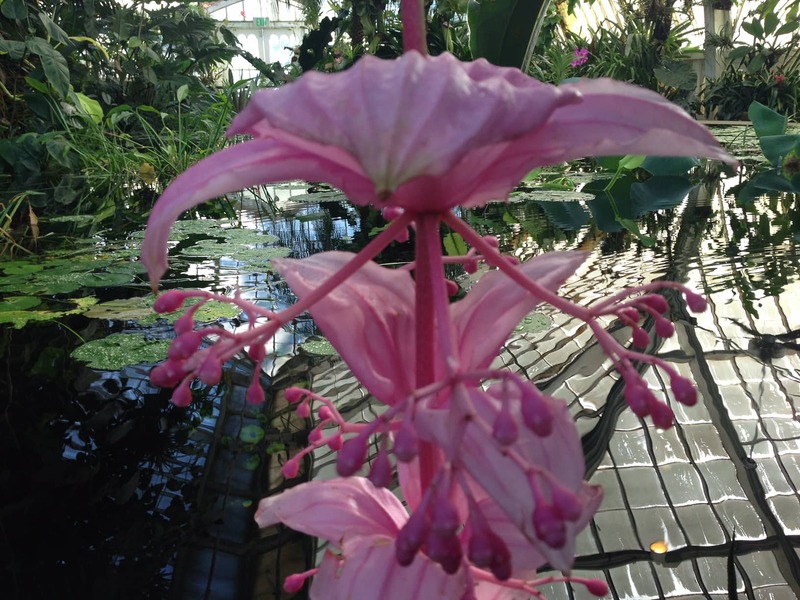 One of the many interesting flowers inside the Conservatory of Flowers. I could have watched these skaters for hours, it was surprisingly entertaining. They were playing music and dancing/skating around the oval and some even had costumes. We saw all kinds of tricks on skates and even some crazy dancing. We went on a Saturday, so there might not be skaters if you visit Golden Gate Park during the week. If you are interested in skating, you will need to bring your own skates. The skating oval is located just west of the Conservatory of Flowers. You almost feel like you are in Japan in this small section of the park with Japanese style landscaping and buildings. You can have a Japanese Tea or just wander through the garden. The gift shop also has some nice souvenirs. If you can, try to go between 9 and 10 am Monday, Wednesday, or Friday, when admission is free. Otherwise, it is $7 per person. I love the reflections in the pond in the Japanese Tea Garden. It almost feels like you are in Japan with the architecture. Towards the west end of the park, you can find the Buffalo Paddock. I enjoyed seeing the buffalo because to me they were so unexpected. We were driving through the park and saw them, so I had to stop and look. 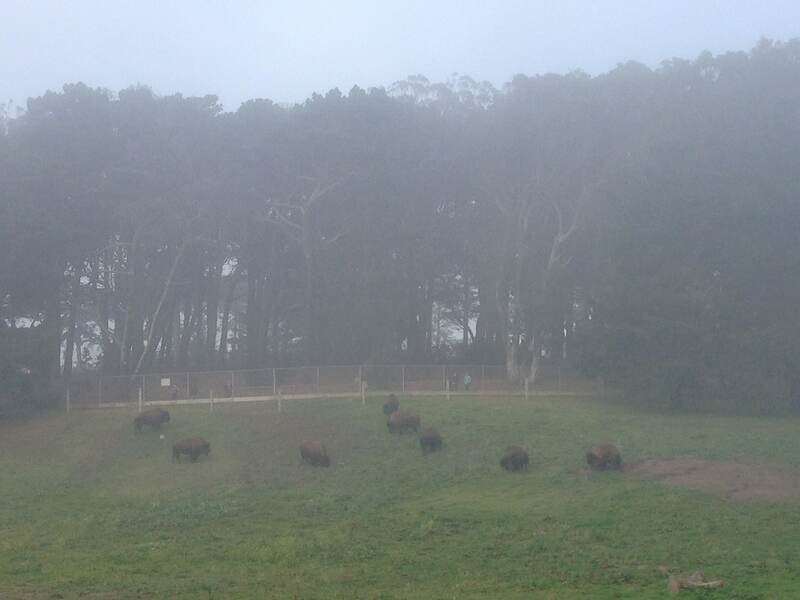 I was in the middle of San Francisco and there is a field with bison in it! Not too far from the buffalo, you can see the two windmills that are in Golden Gate Park. Buffalo on a foggy day in Golden Gate Park. 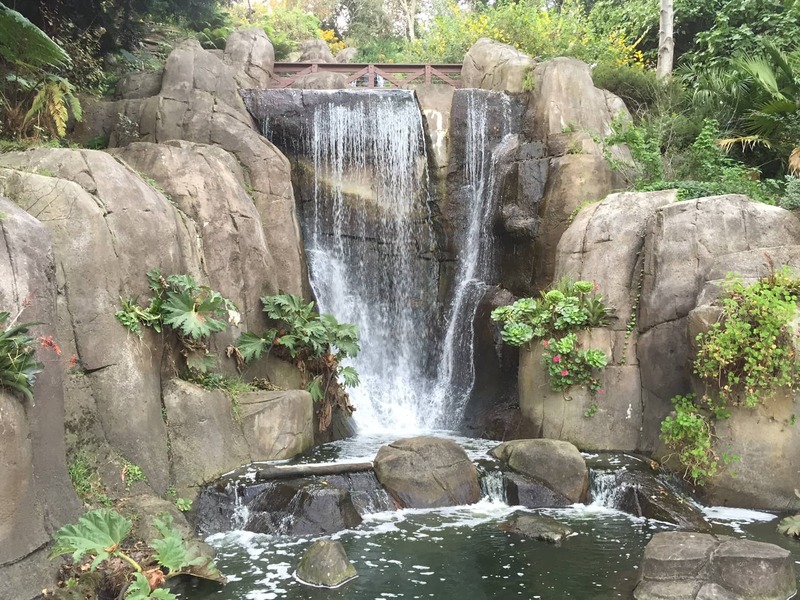 These are just a few of the fun things to do and see inside Golden Gate Park. Sometimes there are special events on the weekend. There are also two museums – De Young (art) and California Academy of Sciences. The De Young Museum also has a nice outdoor sculpture garden. You will also find other nice sculptures throughout Golden Gate Park. 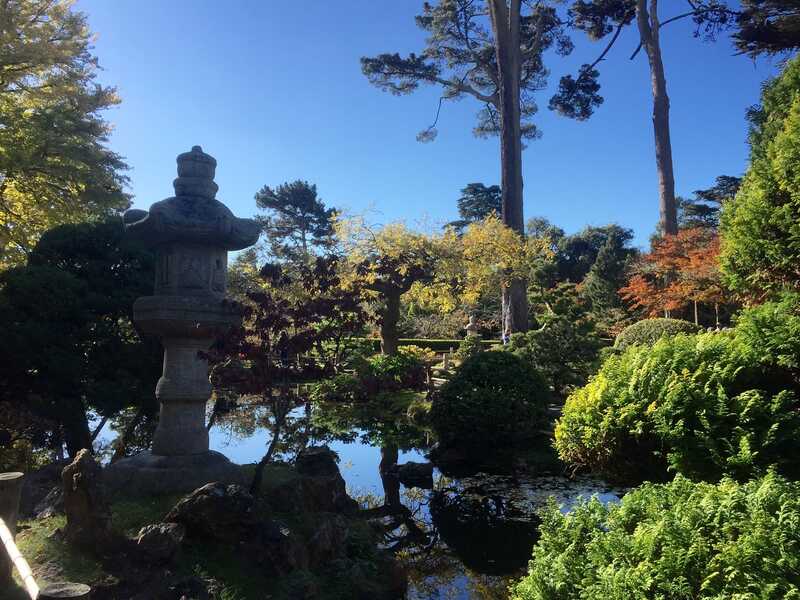 The Golden Gate Park Botanical Garden is another area worth exploring. Kids will love Golden Gate Park. Check out this list for more ideas of things to do with kids in California. Since there is a lot of ground to cover and so much to see you might want to try a Segway tour. You can do a 2 hour tour and see many of the highlights in the park including the Japanese Tea Garden. Segways look like so much fun too! I think it’s got to be the best way to see Golden Gate Park. Don’t worry if you haven’t ridden one, they will train you before your Golden Gate Park tour starts. Click here to check tour availability. If you drive to Golden Gate Park, you have a few options for parking. During the week when it is not a big event, you can park along some of the main drives inside the park. During weekends, you can park for free in the parking lot at Ocean Beach and take the Golden Gate shuttle to major attractions within the park. The free shuttle runs every 15 to 20 minutes from 9 am to 8 pm on Saturdays, Sundays and major holidays. Directly underneath the de Young Museum, there is a pay-per-hour parking facility. You can also park at the Kezar Stadium parking lot which is located near the Stanyan St. entrance for an hourly fee. After a day in the park, I am sure you will have worked up an appetite. The food choices in Golden Gate Park were lacking. If you looking for a place for dinner, Cha Cha Cha is a nice casual tapas restaurant close to the east end of the park. They also have excellent sangria. On the south side of the park, I like Napolito which has great Mexican food. If you want to grab a bite in the morning, Crepevine Restaurant is a great option for breakfast near Golden Gate Park. Golden Gate Park is one of my favorite places in San Francisco. Regardless of how much time you are able to spend in the park, I’m sure you will enjoy it and want to go back for more. 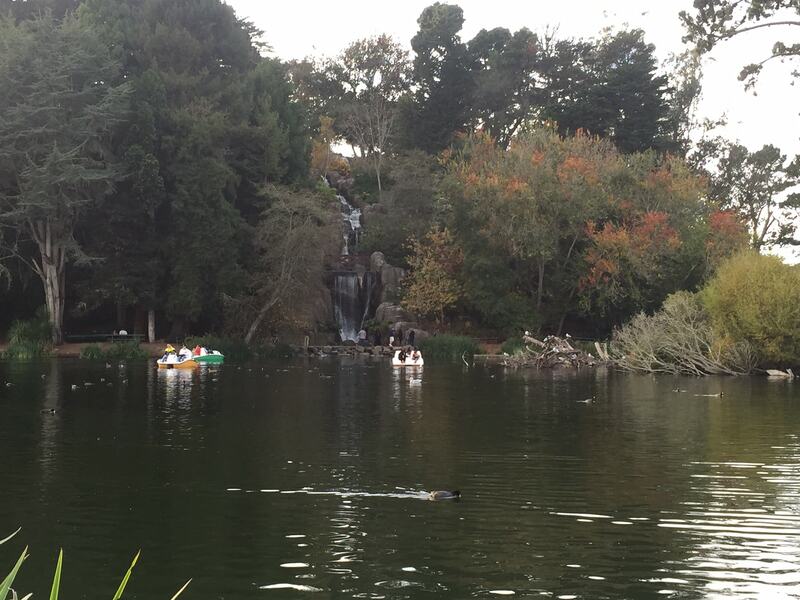 Have you visited Golden Gate Park? What are your favorite spots? There is a lot to see and do inside the park, so use this Golden Gate guide to plan ahead. 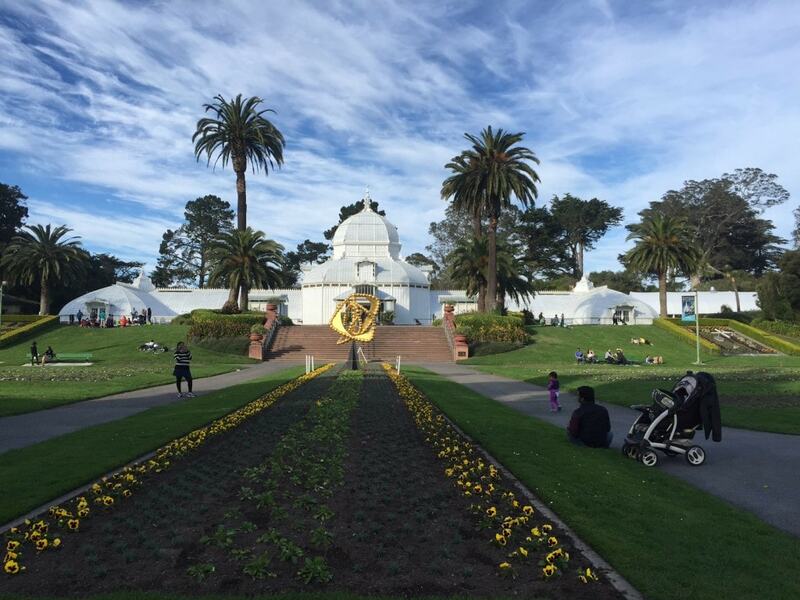 While entrance to Golden Gate Park is free, some of the attractions do charge admission. Some of these attractions will have certain days and times that are free. Check out this San Francisco photo journal for more travel inspiration. Flywheel Coffee Roasters, located on the eastern end of the park, is one of the best coffee shops in San Francisco. If you have time, you should also check out the Walt Disney Family Museum while you are in San Francisco. PreviousThe Parthenon – not the one you are thinking of! Love Golden Gate Park. We like to rent a bike just outside the park and ride through. And the Cliff House is a nice place to stop for a drink or meal to watch the seals out the window. Oh yes love the Cliff House! The food is great and so is the view. Last time we were there we could even see whales from our table. Oh my gosh! I’m glad I found your blog! You gals sound like lots of fun, and I will love checking out your blog for inspiration about where to go next! Lynn – That is so nice of you to say! Glad you enjoy the blog. Yes we hope to inspire you and also make your trip planning easier. Nice picture of the Huntington Falls. We will be flying to the US next year with our @TravelingBeagle . Do you know, if dogs are allowed in the park? Ha! What fun – we have a Garden of Many Nations here. The kids used to love ‘travelling the world’ in an afternoon…. Nice. Where is the Garden of many nations? Wow what a diverse selection of things to do and see in one park. It feels as if you could almost trick yourself that you are visiting several different countries in one outing. Sally – yes, especially with the Japanese Tea Garden! I was really surprised myself how much there was to do in the park! The Golden Gate Park is a great space for the city. I love the Japanese Garden the most. Yes! The Japanese Garden is lovely. One day I would love to enjoy a nice Japanese Tea there. Oh, this is making me miss “home”. I lived in San Francisco for many years and absolutely loved my time in Golden Gate Park. 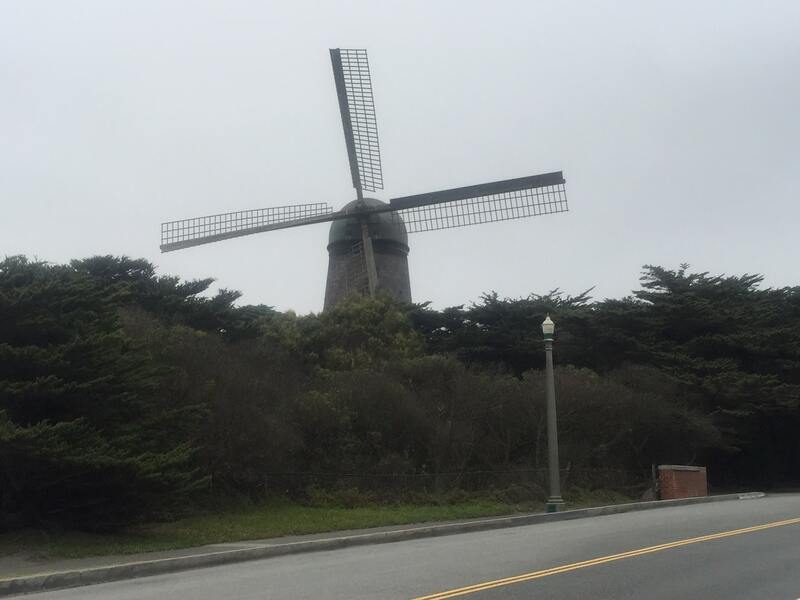 It was like walking through several different parks all in one, and to have the awesome Ocean beach at the end, just past the windmills too. The best. Thanks for such a detailed overview. Heidi – I’m so glad you enjoyed the post. Thanks so much for stopping by and commenting. I love Roses so the Rose Garden would be my first stop, and the Roller Skaters – yep I love roller skating so I could sit there all day and watch them. Lisa – yes the rose garden is lovely but it is seasonal so keep that in mind. And yes I could have watched the skaters all day, there were some pretty entertaining characters! Thanks again for stopping by and commenting! Ah, San Francisco and it’s beautiful parks and great scenery! I love the Golden Gate Park, especially the Conservatory of Flowers and the Japanese Garden. I wish I could go there more often. Yes! So much to see. Luckily I have friends and family so usually visit once a year. Thanks so much for stopping by and commenting. The conservatory of flowers looks amazing. I guess they preserve species and do research as well as putting together beautiful displays? Hi. It is a place to learn more about plants and flowers. They even have special education programs for kids. Thanks so much Linda! And yes I have the same problem. It’s a good problem to have :)!